European Youth Press works together with over twenty member organisations. Who are these organisations and what do they do? Every month we introduce one of our member organisations to our network of young media makers. This month it’s time for Jugendpresse. 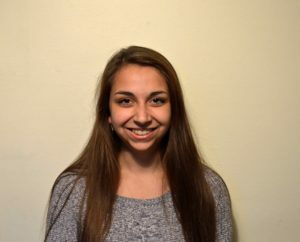 We had a chat with Executive Board Member Melanie Lal. EYP: What kind of organisation is Jugendpresse? EYP: How do Jugendpresse and European Youth Press benefit from their collaboration? ML: Both sides can create intercultural competences and benefit from knowledge exchanges. The EYP offers us an international network in Europe that we enthusiastically embrace. Jugendpresse Deutschland e.V. has his focus on Germany, but can activate their network for the EYP. The EYP was founded in Berlin and shares the office with us, which already shows the strong bond between the two organisations. EYP: What is the importance of your organisation in Germany? ML: The media is kind of a mirror for a society. If only professional and established journalists write about what is going on in Germany, we are missing an important view – that of the young. The worries, themes and input from young people can be quite original and innovative. So our society integrates younger people into the overall picture. EYP: What achievement of your organisation are you most proud of? ML: In my experience, our greatest achievement is the networking opportunity. At our events you will meet people of the same age as you are and you can really feel the team spirit. Everyone is into media, but in so many different ways: the writers, the people who develop their own drones (yes, we have some proud geeks among us), the ones creating new apps, photographers, layouters, moderators, et cetera. We support each other and I’ve found many a good friend. Also, you can get in touch with famous speakers from the field of media who we invite to our events. I’m personally very proud of some projects I was involved in, for example the the international group of the Jugendpresse that develops international projects for our members. We cooperated with the with the Embassy of Israel, where 30 young editors produced a special issue of “politik orange magazine”. In addition, our satire-congress in cooperation with the members of parliament, Martin Sonneborn and Stefan Eck, in Brussels was really great. 60 participants from all over Germany got new insights into the European Union and to learned how satire works. 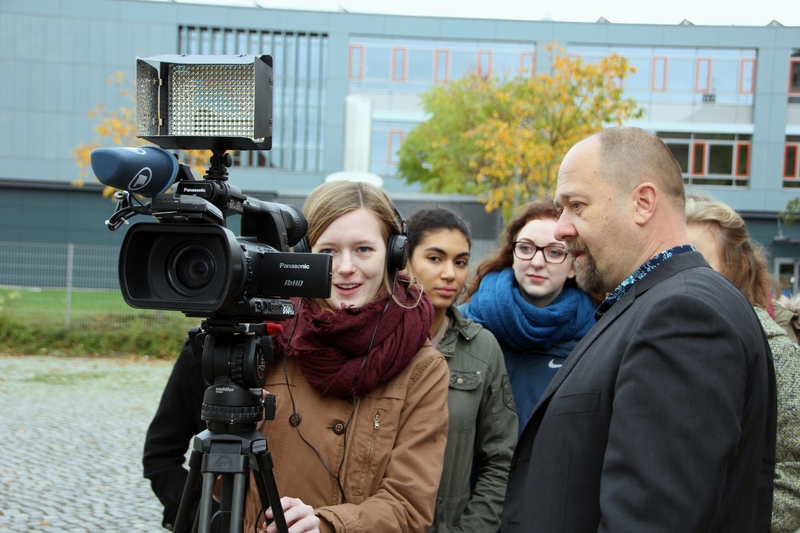 EYP: What kind of future do you foresee for young media makers in Germany? In my point of view the media business, especially the journalism part, is getting rougher and harder to enter in conventional ways. For example, printed daily newspaper will decrease and the online media will get more powerful. A decade ago any aspiring journalist could do an apprenticeship with a newspaper and start their print career with decent job security. Today things are different. Doing an internship will not give you a job, nor studying journalism. You have to be pro-active, find new ways to include new media (like videoblogging, tweeting, creating multimedia online content, et cetera) and it’s hard to get good training for this. At Jugendpresse we are carefully watching these new developments and we try to react quickly with workshops and other networking opportunities to help young journalists find their way. Young journalists need to be brave, open minded and flexible in the ways they approach their career. For news and opportunities with Jugendpresse, please keep an eye on our website.